Whether your project requires extensive reworking or simple proofreading, with more than 30 years of editing experience I can put that professional edge on your publication. Your full length manuscript or article can be edited for continuity and grammar to industry standards so that it’s ready to submit to your publisher. If your manuscript is only in the idea stage and you can’t get started . . . If you suspect you need additional assistance beyond traditional editing . . . If you have a project or assignment that you just can’t get to . . . If your research is complete but you don’t know where to go from there—let’s talk. I am accepting freelance assignments on a variety of topics. Are you preparing to self-publish? I can format your manuscript to give it that professional look within the parameters of your publishing house. The design would include the entire interior of your book: the title page, copyright page, front matter sections (dedication, acknowledgments, etc. ), table of contents, chapter pages, footnotes or endnotes, and back matter sections, such as an about the author page. 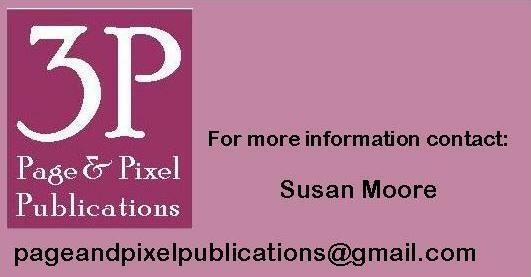 A digital print-ready PDF of your book’s completed interior layout is provided. Statistics report that roughly 25% of all books sold are digital books. Are you missing the opportunity to reach these potential readers? I can convert your manuscript into the digital format that is readable on devices such as Kindle, Nook, tablets, phones, computers and notebooks as well as generic brand eReaders. Working from your original document in Microsoft Word, InDesign, PDF or other format, I will provide you with a digital file that you can upload to Amazon, Barnes and Noble, or other suppliers. Your finished product will feature a navigable table of contents and hyperlinked footnotes, as well as any graphic images that you choose to include. Satisfied clients include Lighthouse Trails Publishing, The Berean Call, Understand the Times, Eternal Productions, The Blue Letter Bible.